By 2050, it’s estimated that just under a billion people worldwide will suffer from disabling hearing loss. This puts the global numbers at right around 1 in every 10 people. As such, you might find yourself counted among them. If so, you might also find yourself wondering which hearing aid brand can best meet your needs. With so many choices on the market today, it can be very easy to get overwhelmed with your options. This review guide of the best hearing aid brands available will help simplify your decision. Owned by GN ReSound Group and founded in 1943, this Denmark-based hearing aid company has a long history. ReSound has a couple of claims to fame. For one, they developed a new sound processing system that utilizes wide dynamic range compression. WDRC makes a wider range of sounds audible to the user, which can be a great thing depending on your needs. They were also the first major company to pioneer open-fit hearing devices. These are hearing aids that don’t block the ear canal, which is a very desirable characteristic for many users. Notably, ReSound was one of the first two companies to develop an iPhone compatible hearing aid as well. Overall, ReSound is a reputable brand with options available for customers of various needs. With the brand motto “People First,” Oticon can be trusted to provide a customer focused, personalized experience. First and foremost, they’re known for their focus on custom-fitted hearing aids to give their customers the most comfortable possible experience. Like ReSound, Oticon is based in Denmark, and they sport an even longer history. Founded in 1903 by Hans Demant, Oticon was created in order to help Demant’s hearing impaired wife. This company founded on love is still family owned and has stood the test of time for a reason. Oticon developed the world’s first digital hearing instrument, the Digifocus. On top of that, they’re famous for recently developing the industry’s first dual-wireless and internet-connected hearing aid. All in all, you can expect to get what Oticon promises with their motto: A customer-centric experienced tailored to your individual needs. Phonak is a Zurich based company founded in 1947 and focused on free and open communication for its customers. Their “life is on” motto highlights their mission of providing products that suit an active lifestyle. True to their mission focus, Phonak leads the charge in hearing aid technology developed specially for children. With active lifestyles being their focus, it makes sense that children would rank high on their list of priorities. More specifically, Phonak is famous for their work on in-classroom FM technology for kids. With so many parents trusting their children’s’ health to the company, you can expect reliability from their products. Signia is a product of the Sivantos Group, which you might more easily recognize as Siemens. Siemens was acquired by Sivantos in 2015, and in 2016 they introduced their new hearing aid brand, Signia. Siemens is a company with a long legacy that you can trust. Originally started in 1878 when Werner von Siemens developed a telephone for the hearing impaired, Siemens continued to develop new tech over the years. They’re known for developing the first digital hearing aid with multiple directional microphones, the very first wireless hearing aid, and the first waterproof digital hearing aid. Impressively, they can also be credited with the invention of the first behind the ear hearing aid in 1959, the Siemens Auriculette. Signia is a brand that can be counted on to innovate and provide quality products. That’s why they were a no-brainer for inclusion on this list. As the only American-owned and operated hearing aid company, Starkey is a standout on this list. For US citizens who like supporting American business, Starkey’s Minnesota roots might be a strong selling point. One big reason for their inclusion on this list is their longstanding dedication to philanthropic work. Each hearing aid purchased through them contributes a portion of the profit to the Starkey Hearing Foundation. Through this program, they’ve given away over a million hearing aids worldwide. Aside from their humanitarian credentials, Starkey are no pushovers when it comes to product. They developed the first in-canal hearing aid and were more recently one of the first two companies to release a made for iPhone hearing aid. Another Denmark-based company, Widex was founded in 1956 and is known for their cutting edge tech. Boasting an entirely CO2 emission neutral building, they’re a company who pushes the envelope. This can be seen in their hearing aid technology, too. Widex is credited with developing the first fully digital in-the-ear hearing aid. They’re also known worldwide for their innovative computer modeling and laser technology custom earpieces. Overall, Widex is a company that has always prided itself on its boundary-pushing technology. Naturally, you can expect products that reflect that philosophy. These six brands are the ones we felt offered the best products and services, but choosing one can still seem daunting. This is especially true considering most of the best hearing aid brands offer even more options in the form of sub-brands. Luckily, they’re all reliable and your choice is mostly going to come down to personal preference. It’s also good to ask your healthcare provider which brand they recommend. Ultimately, a doctor will be able to point you towards the brand that will best serve your personal needs. But even after you’ve chosen a brand, there’s a lot more to know. Hearing aid technology can be confusing. 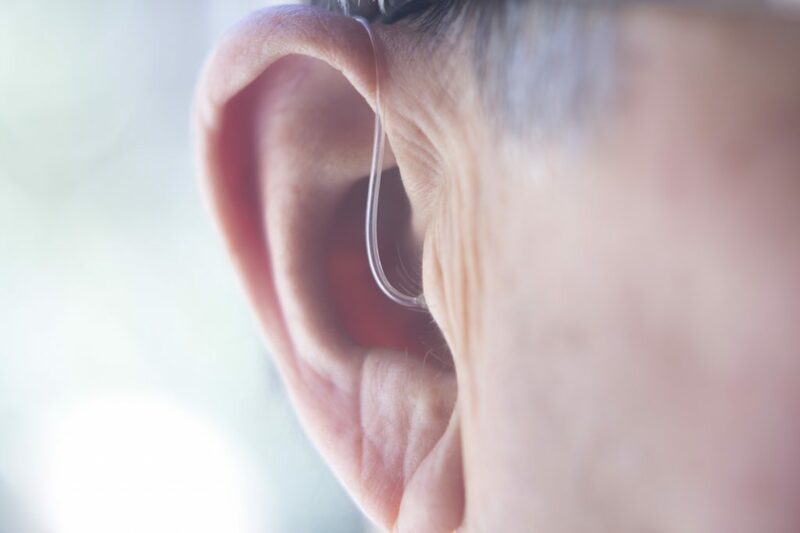 If you’re interested in knowing more about how your hearing aid works, read on to learn more!